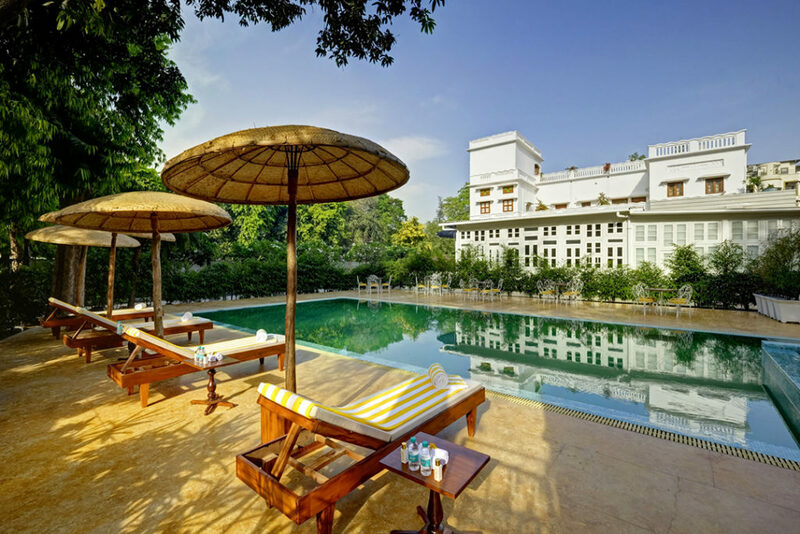 Surrounded by luscious greenery, the Lebua Hotel Lucknow is a boutique bungalow hotel conveniently situated in the heart of the city. 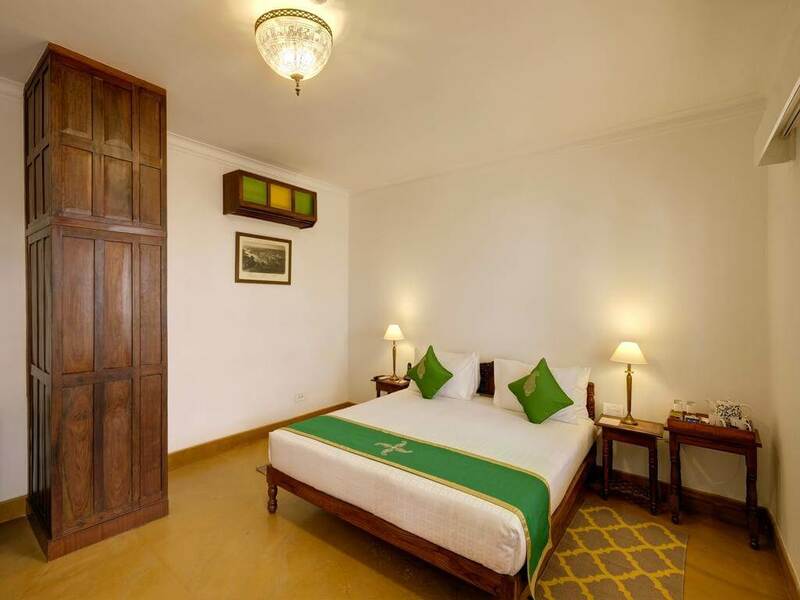 The heritage property has been expertly restored, enhancing its early 1900s art deco architecture to now also incorporate modern décor to bring it right up-to-date. design reflects the quintessential Lakhnavi heritage, where living spaces open onto courtyards and terraces, merging outdoor and indoor living for a truly refreshing experience. 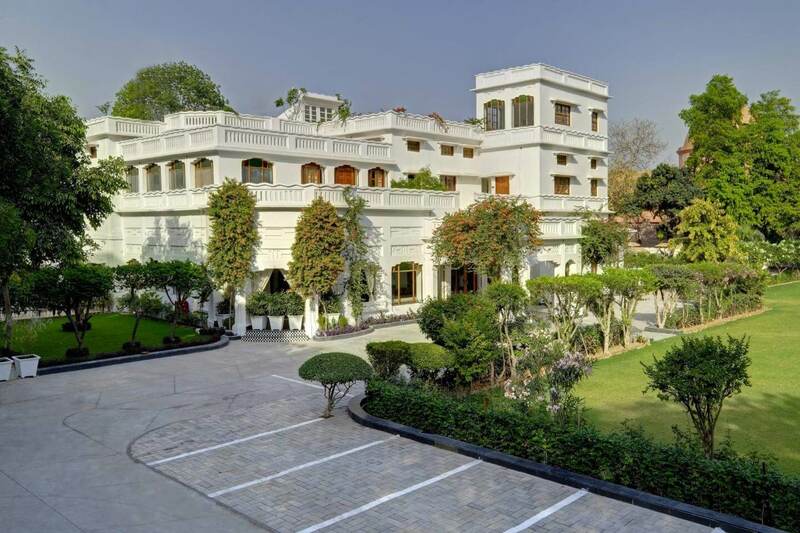 During your stay at Lebua Hotel Lucknow, be sure to explore the spectacular grounds and gardens. Maybe enjoy a tranquil morning stroll to start your day, or wander at your leisure in the warm evenings as the sun sets. If you have a little down time, you could always take a dip in the hotel’s pool or unwind poolside, too. For a relaxing pre or post dinner drink, The Lounge Bar has a great atmosphere. It’s hard not to be impressed by its extensive range of cocktails and superior collection of malts, scotches and other spirits. And should you ever feel peckish, The Lounge Bar is the perfect place to enjoy a snack. Book a table at Azrak Restaurant and you’re in for an enchanting experience. The moment you enter the restaurant, you’ll feel as though you’ve been transported into a bygone era, with its handmade Moroccan flooring and carefully restored doors complete with their traditional chikan block handles. Prepare to enjoy royal cuisines from three erstwhile princely states of India: visually enchanting and texturally rich Awadhi delicacies; culinary delights developed from age-old recipes of the Nizam’s khansamas; and opulent yet robust flavours from the desert state of Rajasthan. On top of these, the restaurant also serves Pan-Asian cuisine all day. 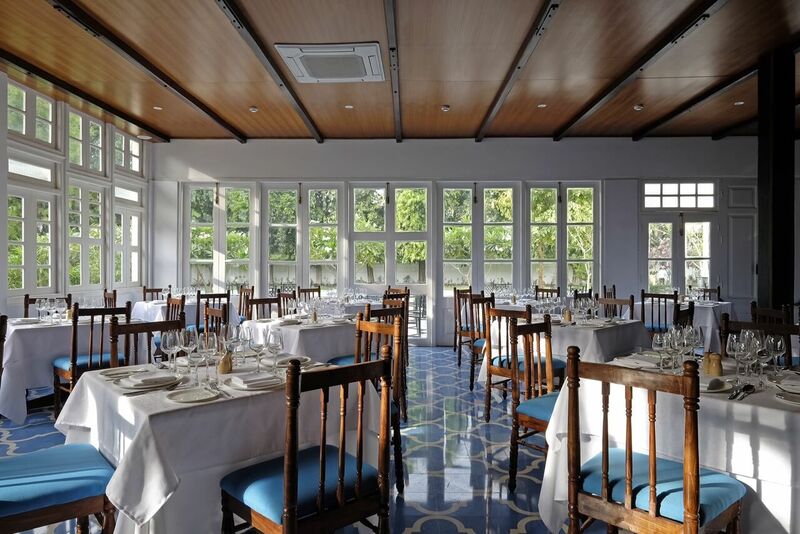 Named 1936 in tribute to the year that the bungalow was built, this restaurant treats you to fantastic Italian cuisine. Here, you can dine alfresco in the picturesque courtyard to a backdrop of exposed brickwork and luscious greenery, while enjoying your choice of classic and experimental Italian dishes, all made with fine authentic ingredients.